Pockets in your wedding dress. Would you really carry your lipstick and tissues in there? It’s bad enough that they make your trouser pockets bulge, but in a wedding dress…? And why would you want to walk around with your hands in pockets, as if you were on a fashion ramp? Love it or hate it the trend of pockets in your wedding dress is here for 2013. Some people love it – the idea that you can stand at your reception chatting to friends whilst resting your hands in a more comfortable place. And hold on to the little things one seemingly cannot be without. Does that mean every bride will walk down the aisle with her Blackberry firmly resting against her hip (I shudder to think)? The only saving grace of this new trend is that the pockets are really well hidden in the seams of the dresses, which is why they tend to be in A-line and ball gown dresses. Most people won’t even know that they’re there unless you rest your hands in them. Which you will do, won’t you? Try wearing anything with pockets whilst doing your best to avoid them – before you know it your hands will creep there all on their own. It’s a comfort thing. But pockets are not limited to the A-line and ball gown. Some designers are even adding them to more fitted dresses too – either placing the pockets in the front of the dress or at the waistline. Try as you might, it’s going to be difficult to avoid them. My major grievance with pockets is that they make whatever you’re wearing look super casual. Standing with your weight on one hip and your hands in your pockets is why denim jeans have had such a market hold for so many years (okay, that and a few other reasons). 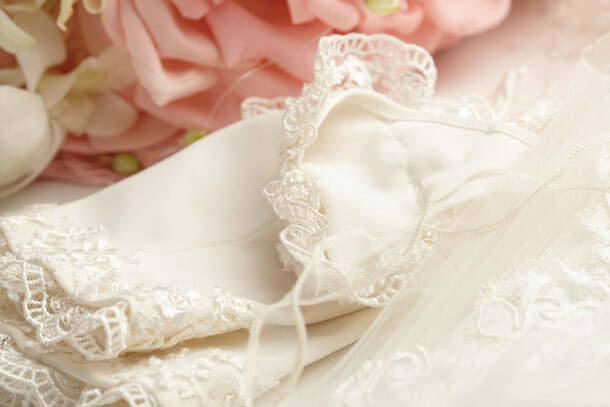 But does a bride want to dress her wedding dress down? Why would you spend a small fortune on a wedding dress only to stick your hands in it? Obviously I don’t like the trend. I hope it goes away soon. But perhaps there will be brides who can pull it off with aplomb. I hope so. That or you could find yourself stitching up the openings in a bid not to stick your hands in them.